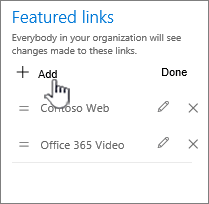 As a global or SharePoint admin in Office 365, you can feature the sites and content you want on the SharePoint home page by changing the Featured links list in the left pane. 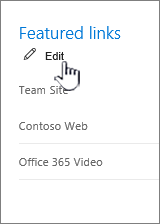 To add links to a SharePoint Server page, see Video: Add a link to a page. 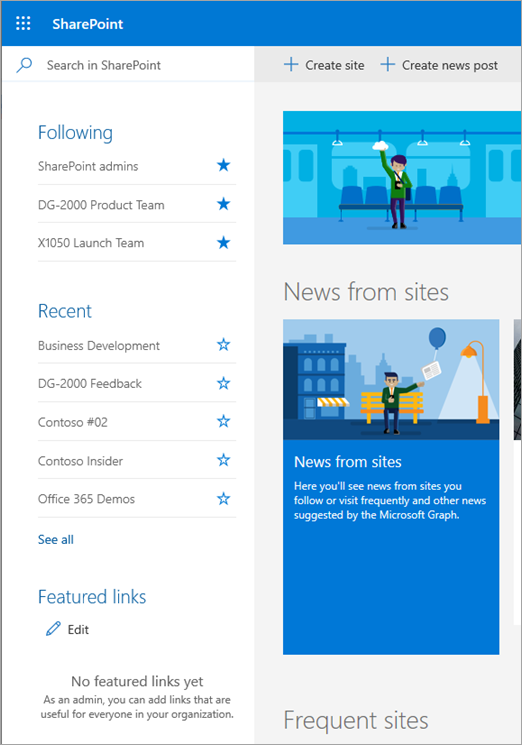 To learn more about the SharePoint home page, see Find news, sites, and portals in Office 365. Sign in with your work or school account. For help, see Where do I sign in?. Select SharePoint from the list of apps. 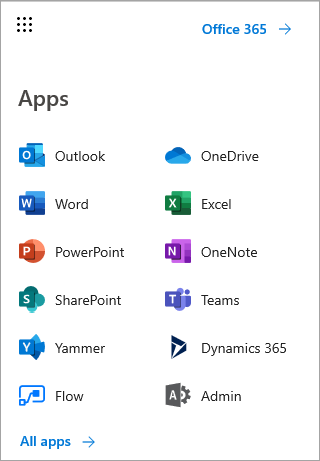 If you don't see the list of apps, select the app launcher icon in the top left corner of the page, and then select SharePoint. You'll see the Featured links list on the left side of the page. Click Edit at the top of the list. If you do not see Edit, you don't have permissions to change the Featured links list. Contact your administrator. To add a link, choose + Add. 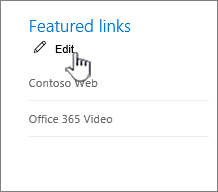 Fill in the Text to display and Address in the New link dialog box. Click Try link to check the link. The new link will appear at the top of the list. To change where the link appears, you can drag and drop it within the list. To leave edit mode, click Done when you're finished. Click the link you want to change. Fill in the Text to display and Address in the Edit link dialog box. To change where the link appears, you can drag and drop it within the list. Drag each link to the place you want within the list. Click Delete in the confirmation dialog box. 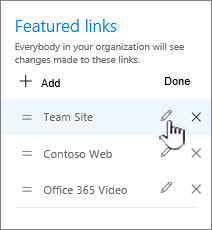 If you had custom promoted sites in classic view of the SharePoint Sites page, the Featured links section of the SharePoint home page is pre-populated with those sites. 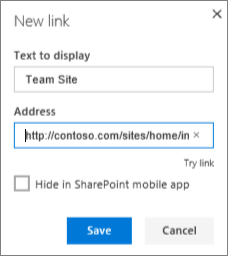 The pre-population of promoted sites in the Featured links list happens only once when the first user visits the new SharePoint home page. 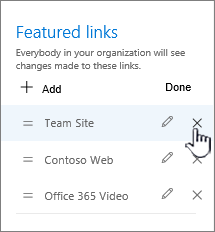 If you go back to classic view and change the promoted sites, the changes will not be reflected in the Featured links list on the SharePoint home page.